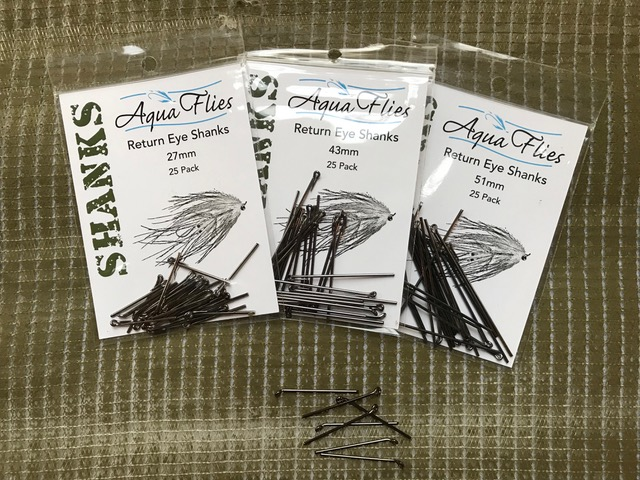 Description Return Eye Shanks from Aquaflies are perfect for tying Intruder style flies like the "Guide Intruder", "Fish Taco" "Signature Intruder" and so many more. The team at Aquaflies has utilized their expertise in creating beautiful flies to make these shanks things of beauty. 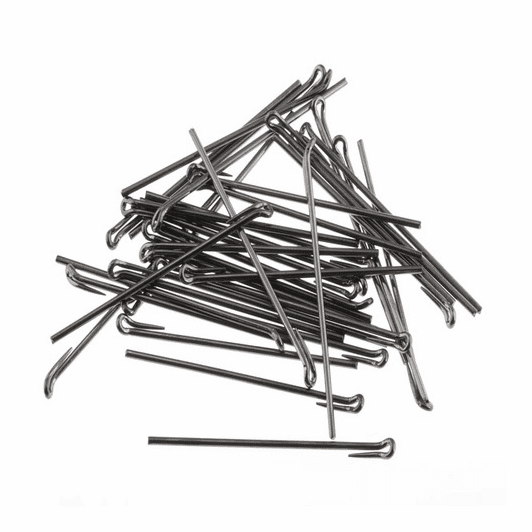 Each pack contains 25 shanks. Available sizes include 27mm, 43mm and 51mm. Technical notes: So here is the key feature that sets these shanks apart on the market of already very good shanks. The return eye is tapered versus being non-tapered, this means there will be no sharp drop off between the eye and shank region. 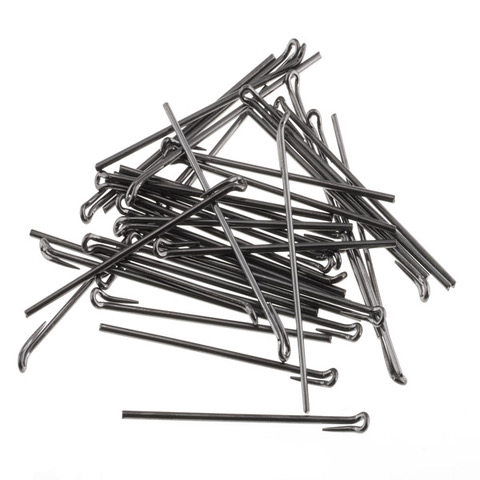 And also these shanks are a smooth nickel gunsmoke with a polished end of the shank to protect your trailer hook loop from any possibility of abrasion. You can rig these shanks by lashing on a trailer loop of wire, mono, or firline and you may also rig your hook old school style with a small section of tube on the end of the shank.